Tonight I begin a fifteen week online class on “The Ministry of Coaching” for Central Baptist Theological Seminary students. My goal in this class is not to train the ten students to become professional coaches but to learn how to apply the techniques of coaching in the local church. 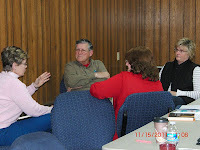 The underlying idea of this course is that coaching is a ministry skill that can be used in the church in several ways. Clergy can use coaching skills in pastoral care situations where church members are trying to adopt new behaviors that will improve their relationships, their quality of life, and their spiritual growth. Christian educators can use coaching skills to assist believers in their growth as disciples and to learn spiritual disciplines. Both clergy and lay leaders can use coaching skills to identify, equip and encourage new leaders in all aspects of church life. Coaching is not counseling but a process that provides a supportive framework for a healthy, committed person to grow spiritually, personally, and relationally. The person being coached is recognized as a competent, growing disciple who can state their personal needs and abilities, formulate growth goals, and identify the action steps that will help them to achieve their goals. The coach provides feedback, clarity, and support as the individual pursues the plan he or she develops. Much like the asset mapping approach used for community development, coaching helps people to use what they already possess more effectively and intentionally. With the coach’s assistance, they develop skills for self-leadership and self-management rather than being handed the answers on a platter. My goal is that these students from five states will come to understand the unique ministry of coaching and be prepared to practice coaching skills in congregational or other community settings. Cecil Sherman, the first coordinator of the Cooperative Baptist Fellowship, said, “The son comes up at different times for different people.” He was commenting on that fact that not everyone perceived the changes in Baptist life in the south at the same time and was leaving the door open for other Baptists to join the Fellowship movement. I have been reminded of this recently as friends who have continued to support traditional Baptist structures in our state have found themselves cast aside because they do not agree with the predominant agenda being pursued by those entities. Twenty years after many Baptists, including myself, turned their backs on the old way of doing things, they are ready to move on. The sun has come up for them. I applaud their decision and identify with the grieving process they are going through. At least one acquaintance has suggested to me that this is a good time for Fellowship Baptists to take advantage of this disillusionment and seek to enlist these folks for the moderate cause. Now, I realize that part of Cecil Sherman’s agenda when he became coordinator was to try to help many “big steeple” pastors to see that their churches really were moderate and convince them to join the CBF movement. Basically, he was asking them to change teams. Times have changed, however, and I doubt the effectiveness of that strategy today. Why? Because there are a number of “teams”—potential partners—with which Baptist churches may affiliate and it is very possible to be part of more than one team at a time. 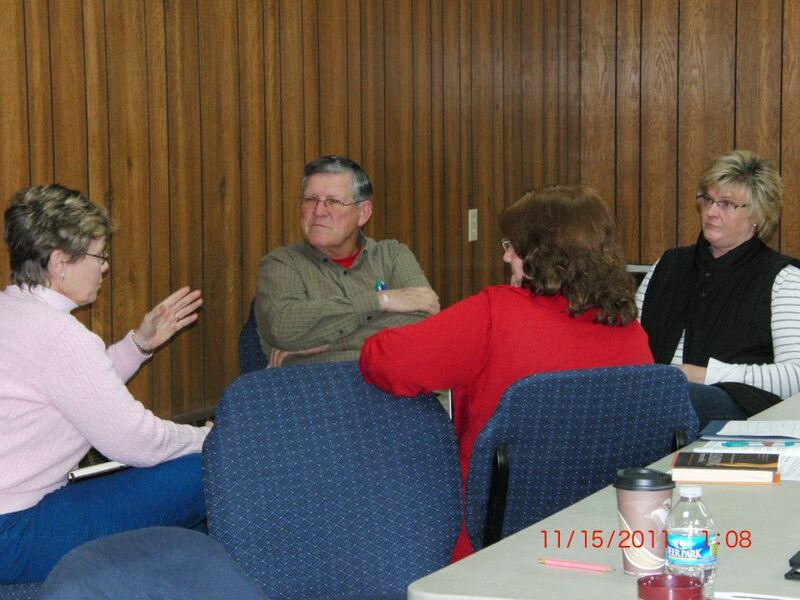 In addition to the Southern Baptist Convention, the Cooperative Baptist Fellowship, and the Alliance of Baptists, there are some states with two or three Baptist organizations, church networks (like the Willow Creek Association), free-standing Baptist entities (colleges and universities as well as groups like ethicsdaily.com, Plantersville, and Baptist Women in Ministry) and ministry specific organizations (Habitat for Humanity, Wycliffe Bible Translators, Samaritan’s Purse, and others) with which churches can work. The greatest danger in such affiliations is that a church will chose to become partners with a ministry because of the work they are doing without considering the group’s doctrinal and ethical commitments. One particular non-Baptist organization with a strong seasonal ministry among many Baptist churches is very conservative and openly antagonistic toward other world religions, but they faithfully and aggressively collect information from a number of moderate Baptists for their extensive data base. Churches that often question the doctrinal stance of Fellowship and Alliance Baptists give groups like one free access to their congregations without question. Some moderate Baptists still cling to the hope of that a congregation will declare its unwavering allegiance to their particular group but such a commitment is unlikely. There are too many options and churches have been “burned” too often. Baptist churches, practicing a congregational polity, are free to choose not only local partners but national and international partners as well. With this freedom comes a great deal of responsibility. Whether congregations and their leaders realize this responsibility is the unanswered question. What Skills are Required of 21st Century Ministry Leaders? In a recent blog, I addressed the second concern as I pointed to Jeff Woods’ ideas about alternative support systems for ministers. 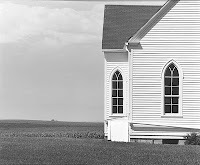 In this posting, I want to share some ideas about addressing the apparent disconnect between the kind of pastoral leaders that seminaries are producing and the type of leaders that churches need or will need in the future. There are several skill sets that ministers will need to meet the changing needs of faith communities in the decades ahead. First, ministers must be equipped to be spiritual directors. Not only will this strengthen the life of the minister, but this will help the clergyperson to guide individuals as they identify, learn and practice the spiritual disciplines that will enrich their relationship with God. This is a key aspect of discipleship and one that churches have long neglected. As a result, Christians have often felt compelled to explore non-Christian practices to give them spiritual grounding. Second, ministers need to learn how to read their culture. This does not mean uncritically embracing the popular culture, compromising the Gospel message, or “going native.” It does mean that the minister needs to learn the skills of the cultural anthropologist in order to fully comprehend the context in which he or she ministers—the innate values and norms in the culture, the way that people really communicate with one another, and the nature of authority, for example. In so doing, the minister can function more effectively as a leader, pastoral minister, proclaimer of the Gospel, and change agent. Third, the “dirty little secret” of many seminary degree programs is that they devote very little time in the curriculum to developing communicators. Students can complete some courses of study and take only one preaching course. Of course, communication is not limited to preaching, but many seminary graduates are poor writers and have only the basic skills of teaching. Ministers need to be able to communicate effectively both orally and verbally in a variety of media and settings. Fourth, today and tomorrow’s minister must be an intentional networker. He or she must be able to connect with people in various contexts in order to advance the ministry that God has provided. This starts in seminary by exposing students to leaders in all kinds of settings—religion, business, education, health, media—so that they can “learn the language” and be able to relate to people both in the church and in the marketplace. Finally, most 21st century ministers will need to have entrepreneurial skills. Traditional resources for ministry are becoming scarcer, so the minister is going to have to be able to find, cultivate, and use resources—personnel, finances, space, and technology—from new and unexpected places. The resources are there, but they must be repurposed for Kingdom work. Of course, I realize that no one individual will possess all of these skill sets, but various ministry settings will require several of these. This will require both theological educators and prospective ministers to embrace new approaches to formation for ministry. If change is to happen in a congregation, the starting place is spiritual and relational vitality. Change will provoke resistance, disagreement, and even anger, so it is important that congregants have the kind of relationships and spiritual commitment that will allow members to overcome those responses and emerge as a healthy and committed fellowship. Spiritual and relational vitality provide the strong root system that supports change. Those who work with trees tell me that the root system of a tree below ground is as massive as the spread of the branches above ground. If the root system is not healthy, it cannot support an expanding, growing plant. We had a particularly dry summer last year. I did not think too much about how it impacted the trees around our house until we had a couple of windstorms and lost large branches off of several trees. The roots had inadequate nourishment, so the trees had been weakened. Even though the branches grew, they were not strong. The congregation that is facing significant change must devote itself to its spiritual life and group cohesiveness. Even if you think that your congregation is healthy in both areas, an increased emphasis on prayer groups, Bible study opportunities, and fellowship activities would be a wise move. These activities strengthen individual members and the congregation as a whole. As we grow deeper, we can reach higher. Although a friend once told me that passion was overrated, I believe that the things about which we are passionate give meaning and purpose to life. The first definition of “passion” in the dictionary is “compelling desire” with “sexual desire” coming in third. When I talk about passion, I am talking about what gets you up in the morning and keeps you going all day. A sense of passion to encourage and disciple leaders for the church led me into a ministry with college students. A passion for a free and faithful expression of the church led me to work with the Tennessee Cooperative Baptist Fellowship. A passion to walk with and encourage church leaders led me into coaching. A passion to care for and support my family sustains me daily. In addition to all of the preceding, I have a passion for the church. I will admit that such a passion is not always easy to sustain. When I see churches and their members being fearful, demanding, or uncaring, my passion takes a hit. Things continue to happen within the life of the church, however, that serve to rekindle that passion. When I see a youngster who has been nurtured within the fellowship make a public profession of faith in Christ and seek believer’s baptism, my passion is rekindled. When I see a young couple cast their lot with the local fellowship of believers and begin serving there, my passion grows. When I see the church reach out to marginalized and needy people, my passion receives a boost. 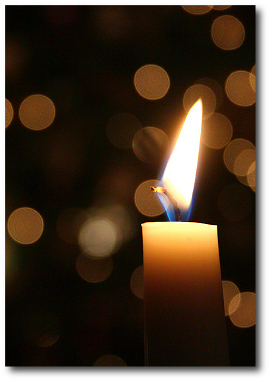 When I see the church serving members in time of loss and grief, my passion glows. When I see a church embrace a new ministry or welcome a new leader with open arms, my passion soars. Bill Hybels often says that we need to continue to cast vision because “vision leaks.” In like manner, we need to continue to nurture and seek passion in order to be faithful to God’s call, both in the church and in ourselves. Early in my ministry, I discovered that writing was a great diversion for me. I had written papers, sermon manuscripts, and letters (remember those?) since I was a teen-ager, but I first came to see writing as a creative outlet when editor Bill Junker invited me to write an article for The Student magazine. This began a long-time partnership with National Student Ministries that included a number of articles, several training resources, and one Bible study guide. My interest in writing found an outlet through articles and papers written both for The Campus Minister Journal and for some meetings of State Directors of Student Work (now collegiate ministry). Along the way, I also began writing a column for Reflections, the monthly publication of the Student Ministry Department of the Tennessee Baptist Convention, that I called The Barnabas File. I carried the title over to my column in the Tennessee Cooperative Baptist Fellowship newsletter and in June 2006, Barnabas File became the title of my occasional blog. Writing gives me the opportunity to play with ideas, words, and structure, always in an attempt to get a message across to a reader. The online blog has proven to be a great way to put things out there and get some response. I have also been affirmed by the fact that ethicsdaily.com, Central Baptist Theological Seminary, and Associated Baptist Press are gracious enough to pick up some of my blog posts, and I am still surprised when I see someone at a meeting and they comment on something that I have written. Writing is a creative process, but it is also work! I just finished writing up a rather lengthy report for Central Seminary. A lot of what I covered was “inside baseball” material that would be of little or no interest to someone outside of the theological faculty, but I made an effort to make it readable and interesting. This required about forty hours of writing (not including research). The writing was sometimes an hour or two at a time, but I invested a couple of six hour days when I got into the final stretch. Someone once said that the key component of success was just showing up. For a writer, the road to success is putting some words on the page (or the computer screen). The initial effort may not look like much, but it is a beginning that one can return to and polish, delete, or rearrange. In order to be a writer, you have to write! Whether you are a novelist, a biographer, a reporter, a columnist, or a blogger, you have to start by putting your thoughts down. What happens after that is often in someone else’s hands, but it does not lessen the joy of writing. In the current issue of Congregations magazine, Jeff Woods suggests some alternative pastoral models. He points out that churches want a called and equipped pastor, but it is more difficult today to provide the financial support for such a minister while carrying other institutional expenses. Woods suggests a number of alternatives that go beyond the typical bi-vocational or bi-ministry (serving two congregations to make a full-time package) models. Woods’ comments encourage us to think creatively about church staffing not only for the pastoral ministry but for other ministries as well. Several years ago a friend resigned his church to become an itinerant minister of missions. He long had a passion for involving laity in the congregations where he served in mission and ministry projects. In his new role, he actually serves about a dozen congregations in several states as their “minister of missions.” As he comes to understand the unique gifts of each church, he helps them to identify activities in which they can be involved. These projects may be connected to the denomination to which the church belongs or they may be work with another organization or entity. My friend is available not only to organize and train but to preach and teach in order to share a missions vision with the partnering congregations. Such a model could also work in other areas such as Christian formation. Perhaps there are several churches in a city or county that could enter into a partnership and employ a person as a Christian educator or developer who would work with each of them to meet their particular needs. 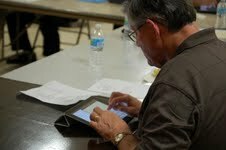 With e-mail, web sites, Facebook, and Twitter, congregants could be in regular touch with the Christian formation leader. He or she could also visit each church on a regular basis, lead appropriate training activities, and suggest the best resources for each church. Tighter financial budgets encourage us to use our resources in more effective ways. By taking advantage of the 21st century communication, a practitioner can be in touch with those served even when he or she cannot be physically present and provide materials, training, and information at the touch of a button. Challenging times open the door to new approaches. Have you ever had something you wrote come back to haunt you? About 20 years ago, I was asked to write an article for The Campus Minister journal on “Where are We Going in Student Ministries?” and did so. I had long forgotten this but it was brought to my attention recently by friend Wanda Kidd who sent me a copy. As I reflect now on the ten observations in that article, I realize that some were general enough that I could not miss by including them. I am also reminded about how much things have changed in Baptist life since 1990, changes that led me to leave employment by the Executive Board of the Tennessee Baptist Convention and cast my lot with the Cooperative Baptist Fellowship. So where did I get it right and where did I miss the mark? One prediction was, “We will use ‘high tech’ equipment and resources, but it will not take the place of ‘high touch’ activities.” I was pretty much on the mark there. I even commented that “we will do more of our own clerical and secretarial work” and use software to produce “commercial quality printing and program materials at low cost.” I could not foresee that social networking provided by the computer and the Internet (who knew what the Internet would become?) would provide a new means of “high touch” contact with students and constituents or that printed media would be significantly less important in communication. Another comment was, “We will use the arts and media more effectively in communicating the gospel.” I suggested that we would use “drama, interpretative movement, sculpture, painting, photography and music more extensively in our worship, teaching and evangelistic effort.” This certainly has come true in worship where there is great emphasis on the visual and auditory, but some of the other elements have not become significant factors in the way we do ministry. I also challenged campus ministers to “practice what we preach about continuing education and lifelong learning.” I alluded to the potential of using interactive video, accessing to seminary and university libraries online, and pursuing doctor of ministry degrees. Even though possible delivery platforms have multiplied far beyond what I imagined, I doubt that they are being accessed by a large number of campus (collegiate) ministers. There were some aspirational ideas that we have not achieved yet but we have made some progress toward. For example, I had hoped and still hope that campus ministry would be more inclusive and hire people for their gifts rather than their race, gender, or ethnicity. I had also hoped that more volunteers would be used not due to economic considerations but because they often have more access and credibility in higher education than an outside person. This is a great resource that is still largely untapped. And then there were just some wacky things—for example, student athletes would be recognized as semi-pros and compensated for their work—that have not come to pass, but I did forecast a diverse and fragmented higher education scene that is even more chaotic today than anyone could have expected. My friend Jerry Gaither was a county superintendent of schools when it was an elected position, subject to the whims of electoral politics. He also served during a time when folks here in Tennessee were dealing with significant issues relate to racial integration. Jerry learned a lot as an administrator, challenging him to grow as a believer. Several years ago, Jerry shared with me one sheet of paper he entitled “Decision Making: An Administrator’s Ethics Test.” I provide it here for your consideration. 1. Will I be violating board policy, the law, or the rights of others? 2. Is it equitable? Can I sit down around a table and face all parties concerned at the same time? Does it promote wholesome relationships? Can I look in the mirror and feel good about myself? 3. Is it explainable? By this I mean, is it explainable in a clear and concise manner that the general public can understand? 4. Will it leave me with a clear conscience? Will it make me proud? Will it stand the light-of-day, tomorrow as well as today? Would I feel good if my family knew about it? Could I kneel in my bedroom and pray, “Dear Lord, I have done my best; give me what I deserve”? These are simple but profound questions. Jerry’s words remind me of those that Shakespeare puts in the mouth of Polonius: “To thine own self be true, and it must follow, as the night the day, thou canst not then be false to any man.” They are a challenge to me to be wise in both personal and public decision making. Change is never easy and rarely sought, but change is going to happen. We can either adapt to it or use it as a springboard for innovative and effective ministry. In his book, Innovation and Entrepreneurship, leadership guru Peter Drucker encouraged leaders to see changes around them as opportunities for purposeful and systemic innovation. He pointed out seven sources for innovation: the unexpected, incongruities, process need, industry and market structures, demographics, changes in perception, and new knowledge. Let’s consider how those in congregational leadership might use these sources to make effective changes in the church. First, the unexpected might be the unexpected success, the unexpected failure, or the unexpected outside event. Perhaps you begin a new worship service and people flock to it. Why is it a success—time, location, style, leadership? If we know why it works, perhaps we can apply the principles elsewhere. A new ministry may fall. Rather than just sweeping it under the rug, take the time to do a post-mortem and learn from the experience. An outside event like a natural disaster, a new business in town that brings in people from another part of the country or world, or an offer to purchase your property may be the catalyst for reassessment and repurposing of the church’s resources. Second, the incongruities you encounter in your church may be the difference between an assumed reality and the actual reality. Your church may have a long history of reaching young adults through its college and single adult ministries so you continue to budget and staff for those ministries, but in reality things have changed. Students no longer live in the local community and choose to commute long distances. The businesses that drew single adults have closed. Perhaps it is time to face reality and allocate those resources in new ways. Third, the process that we use to do something may need to be changed. We already see this in the way that the church does publicity. We once depended primarily on print media—either done in-house or contracted out—to communicate with members, guests, and the community. Now we use digital media and less paper. What is the next thing that your church needs to discover as a better means of communication, information, or administration? Fourth, although we hate to use the terminology, most church leaders realize that there have been major changes in the religious “industry” and “market structure” in recent years. We have seen the rise of megachurches (both denominational and non-denominational), house churches, and new expressions of faith (including many world religions) in our communities. People have more choices and they are exercising them. Each church must decide what it does well, what it can do better, and what it offers to the community that no other group does. This can provide new enthusiasm for creative ministry and new venues for your church to pursue. Fifth, changes in demographics are both a challenge and an opportunity. As we discovered in the last Presidential election, age, gender, and ethnicity have a tremendous impact on the electoral process. The church is not exempt from these changes and many others. One significant change is in how we define family. Most churches are still programming for mother, father, and 2.5 children while the families that come through our doors (at least one time) are quite different. There are single parent families, blended families, and families where grandparents are raising grandchildren. The demographic reality calls for adaptation and innovation. 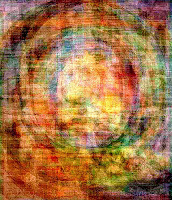 Sixth, the changes in perception, mood, and meaning that the church faces are often external. 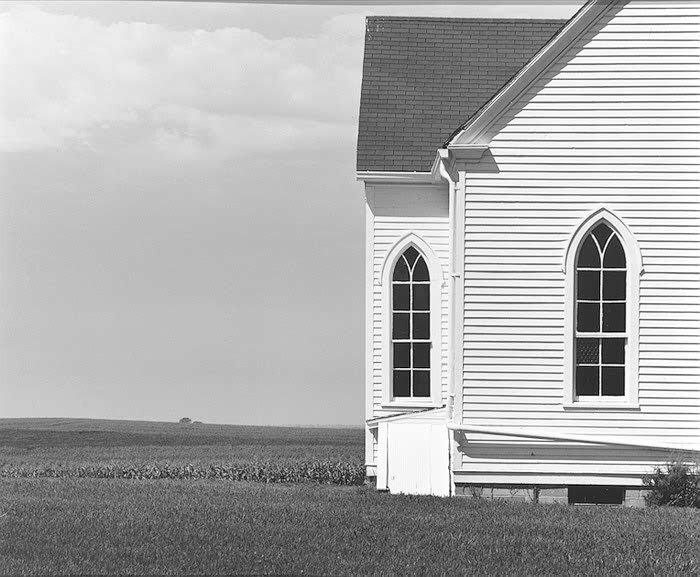 The church no longer occupies the same place in culture that it once did. Even for Christians, the church is only one part of a complicated lifestyle and may not even be in the top three places where one spends his or her time. We can see this as a negative situation or as an opportunity to help people redefine or rediscover the place of the church in their lives. Another change in perception that impacts the church is the role of women in society. The church’s response to the fact that women are more highly educated and increasingly prominent in secular leadership can be positive or negative. We can seize the opportunities this offers for a fresh wind of the Spirit to move in our midst or embrace a reactionary stance that stifles giftedness. Seventh, we can use the new knowledge available to us to pursue new ministries or to be more effective in what we are currently doing. New knowledge may provide us with new tools to communicate, lead, or educate. All of the new knowledge is not equally useful, so we will need to be discerning in our evaluation of its worth but we will miss a great resource if we ignore it. Life brings significant changes to us as individuals; some are for the good and some challenge us to do something different. This is true for the church as well. What will your church do this year to address a changing world? On January 1, I celebrated the beginning of my fifth year of “retirement.” In many ways, I was not ready to give up full-time employment when the time came, but as I look over my calendar for the coming month, I realize that I have been blessed with the opportunity to continue to do a number of things I enjoy. During the coming month, I will lead two online peer groups for Doctor of Ministry students, coach five clergy clients, and begin teaching a weekly online class on “The Ministry of Coaching.” In addition, I will provide support and encourage for my coaching colleagues with Pinnacle Leadership Associates and work on a research project for Central Baptist Theological Seminary. I also plan to get away for a couple of days to do some reading and writing and will continue to write my blog (which ethicsdaily.com and Associated Baptist Press kindly share from time to time). My church will give me the opportunity to co-lead a Companions in Christ group on Wednesday nights, assist in the development of Sunday school leadership, and chair the Denominational Relations Committee. I will also participate in two peer groups with interesting and involved colleagues. My schedule will offer me the chance to spend time with my wife, take grandchildren to various activities, and have some special hours with our youngest grandson and great-grandson. None of this is very spectacular, but my calendar does reflect that I am doing what I want to do. My mentor coach Mike Pfau shared recently the story of a couple whose dream was to retire, move to France, and spend the rest of their lives traveling, eating, and relaxing. After about a year, they found themselves bored and unhappy and moved back to the United States so that they could pursue some more familiar activities. There is a tricky balance between dreams and fulfillment. As we live longer, we are starting to realize that not only do we need to plan for retirement but we need to prepare for our “second lives.” Most of the retirement age people I know are active, healthy, and motivated to continue to make some contribution to their families, friends, and community. We can anticipate another decade or more of an active lifestyle. What are we going to do with that time? If you are 55 or older, this would be a good time to start considering what God has in store for you in the coming years. Let me know if you would like to talk about this further. My e-mail is ircelharrison@gmail.com.